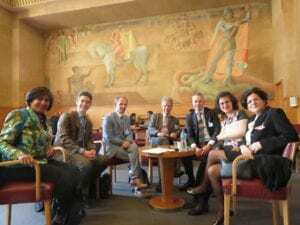 The CIGEPS (Intergovernmental Committee for Physical Education and Sport) extraordinary session was held at the United Nations headquarters in Geneva, Switzerland, on 28th and 29th March 2019. There were three main areas of focus: (i) revision of the statutes of CIGEPS, (ii) follow-up and implementation of the Kazan Action Plan (KAP), adopted at the Sixth International Conference of Ministers and Senior Officials Responsible for Physical Education and Sport (MINEPS VI) and (iii) aligning the UN Action Plan on Sport for Development and Peace with the KAP. Action 4 of the KAP was a call to member nations for conducting a feasibility study on the establishment of a Global Observatory for Women, Sport, Physical Education and Physical Activity in alignment with its mission of promoting the empowerment of women and girls in and through sport as fundamental components of national and international sport policy which are seen as crucial factors for good governance, and for maximizing the contribution of sport to sustainable development and peace. The State of Switzerland pledged to provide the necessary resources for achieving Action 4, thus providing new impetus to achieving the goal of gender equality in and through sport. It is a memorable moment in the history of women and sport and a great support to the KAP by Switzerland. The Swiss commitment should be upheld by other member states in order to maximize the potential of sport to interconnect with the SDGs through the future work of the Global Observatory and facilitate the achievement of the equality goals set out in Agenda 2030. The IWG Representative at CIGEPS was IWG Global Executive Member, Lilamani de Soysa. 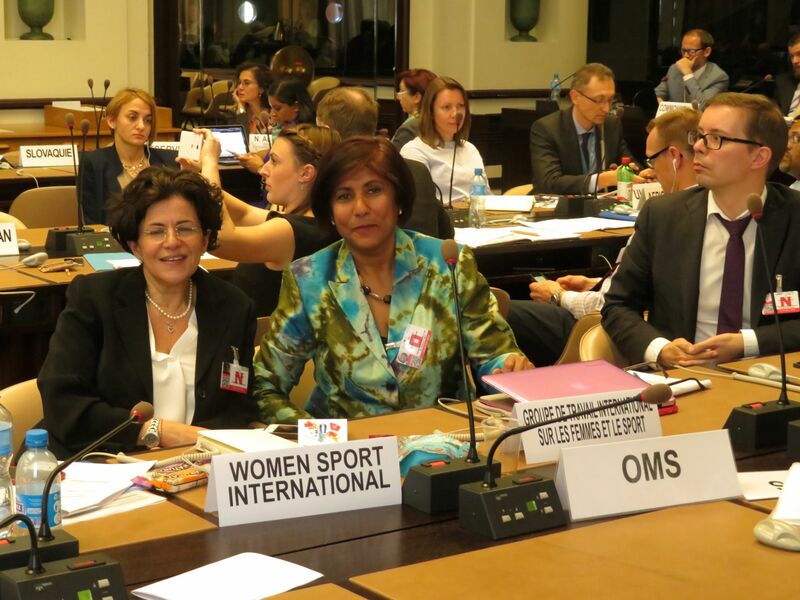 She was accompanied by Stiliani “Ani” Chroni, Past President Women Sport International (WSI). The Intergovernmental Committee for Physical Education and Sport (CIGEPS) was established in 1978 to promote the role and value of sport and its inclusion in public policy. CIGEPS is comprised of expert representatives in the field of physical education and sport from 18 UNESCO Member States, each elected for a four-year term. The Permanent Consultative Council (PCC), comprising key sport federations, UN agencies and NGOs, provides technical support and advice to the Committee.